The Job Interview, the second episode. This show isn’t just about the job, or the interview, it’s about the lives of real people. It’s been an emotional roller coaster in this episode and it really highlights the real struggles of the people who find it tough finding a job in such a competitive labour market. In this episode candidates who applied for a job as a Veterinary Receptionist in Dudley for a local vets practice and an Administration Officer role in Liverpool, for a maritime health and safety training company are featured, as they go through the gruelling and intense interview process. 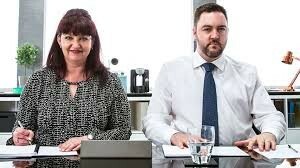 As the opening narration states: “Behind the closed doors of its interview rooms – lives are about to change.” The anxiety creeps in and the nervous pre-interview prevails as northern candidates arrive and patiently wait for their allocated time slots. This week, over 700 people applied for 2 jobs. Only last week Theresa May, our new Prime Minister, stated that the UK has the lowest unemployed rates since the 70’s. It makes you question government stats and real life struggles. As the fashionista Gok Wan always says, “It’s all about the confidence”. I think some of the candidates could do with his motivational and inspirational chats. They also say it takes an interviewer 10 seconds to make up their mind about whether you’re right for the job or not. So here are 7 top tips to nailing the interview and bagging your dream job. From the candidates in this week’s episode the ones who got the job not only seemed confident, but seemed to have incredible self believe in their skills and the role. I think self believe is incredible and can get you to where you need to go. So, believe in yourself and go for it. In previous episodes the interviewers have spotted spelling, grammar and punctuation errors on CV’s. It’s probably better to get someone else to proof read your CV, because your CV is a selling tool – don’t let yourself down before you’ve even started. So this would have been my stock response – but this question is open to interpretation. The interviewer is not only looking for a particular answer but mainly they are interested in how you think. So think a little deeper. It isn’t about preparing a stock answer – this is about really knowing yourself. You may have applied for a dream role – but will your fear of blood affect your chances? If your fears and weaknesses could affect your chances, you’ll need to show the interviewer that you’re taking action to overcome barriers and obstacles. Everyone is human – no one is perfect. But showing that you are willing to make changes is pretty significant sign of a top candidate and all round person. Don’t make a joke in a serious moment, and if you say your funny, be prepared to be funny. I know this might seem obvious, but you need to be able to prove that you are who you say you are. Substance is key, if you say you are good at maths, be prepared to do mental arithmetic in your head. Interviewers are looking for real and genuine candidates and people. When you apply for a role you obviously think you have the skills for the job, right? However there will be some skills that you might not be up to scratch with, that’s ok! But what are you doing about it? Employers are impressed with self-development and self-motivation. So, if you can prove that you are working towards improving yourself that could give you the competitive advantage over someone who isn’t.